We stayed at the InterContinental Bora Bora Resort Thalasso Spa and WOW, just being able to walk out into the water from your own porch is a dream. In the room, there is a glass coffee table which let's you look down to the water below. We loved watching fish swim under our room! The bed faces a floor to ceiling window that makes you feel like you're just floating in the aqua lagoon. It’s literally heaven on Earth! I was apprehensive about feeding stingrays at first but as long as you have their food, they are like little puppies that brush up against you begging for food. 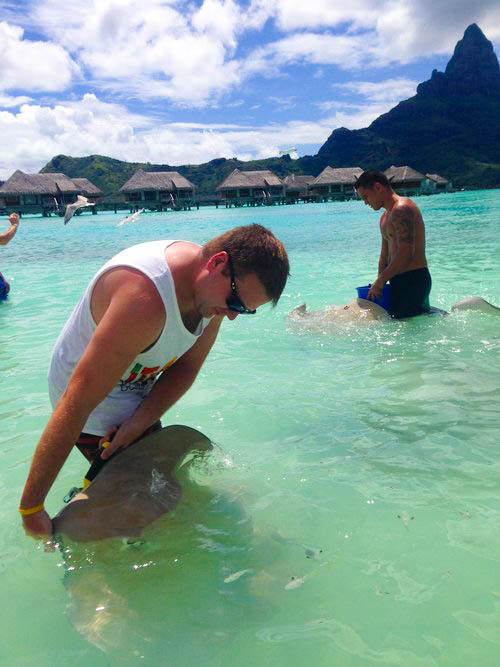 The man with the bucket came out blowing a shell like a horn, getting the stingrays ready for a feeding! Warning, watch out for the seagulls. They are food stealers. 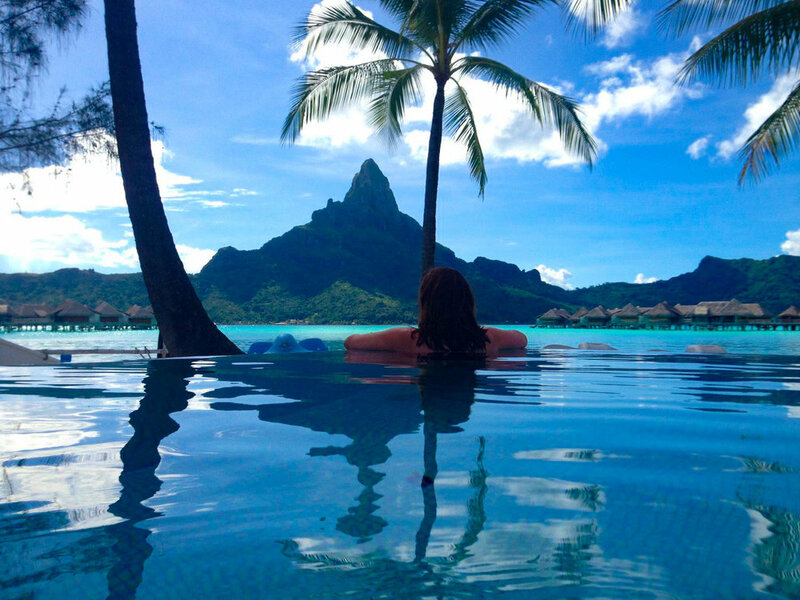 The Bora Bora InterContinental Thalasso spa is top notch. They even have a room where you can watch the fish through the hole in the table while getting a massage. How peaceful is that? 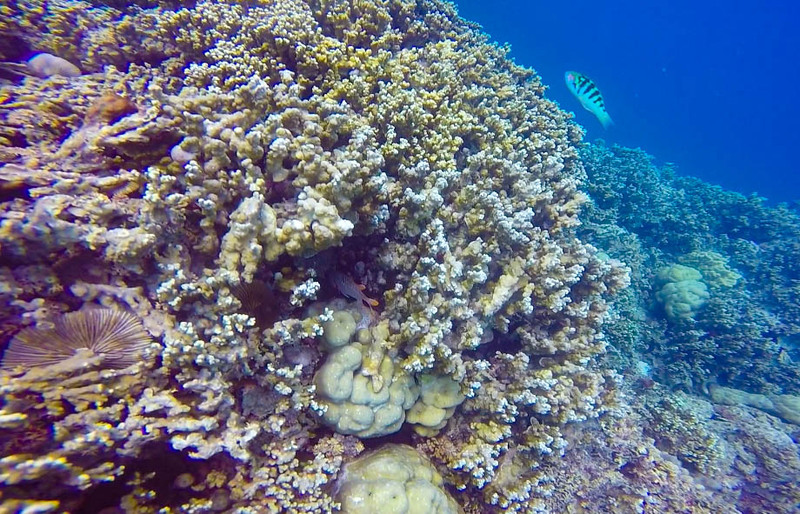 The colors are beautiful deep below the surface, with thousands of fish along the gorgeous colorful coral reef. We even saw a 7 foot lemon shark swim through. 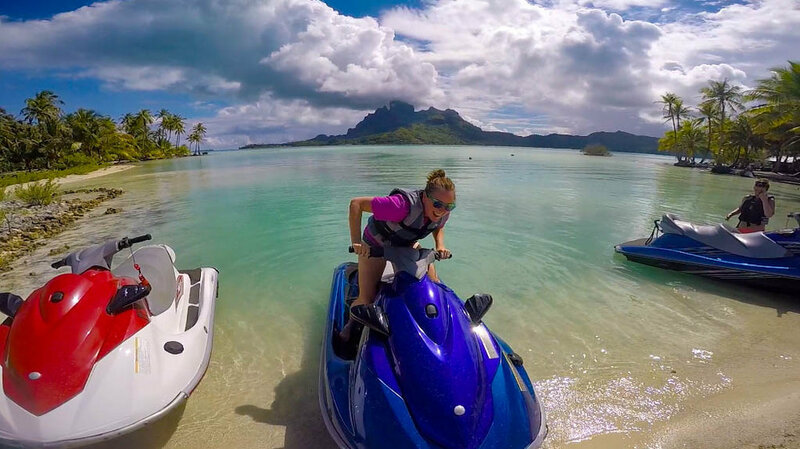 The jet ski was my favorite activity! We went around the entire island. Our guide showed us how to break open a coconut on the shore with our bare hands! It was delicious! 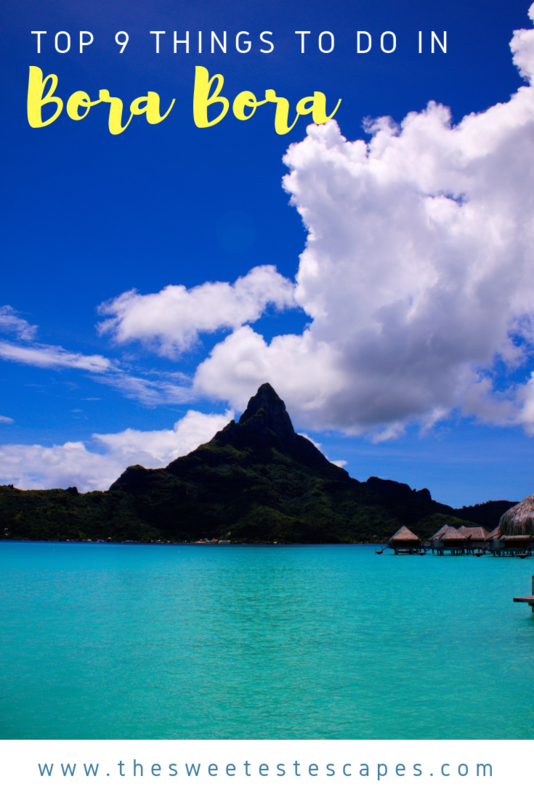 Paddle boards and kayaks are provided by the hotel (InterContinental Bora Bora) at no extra cost. 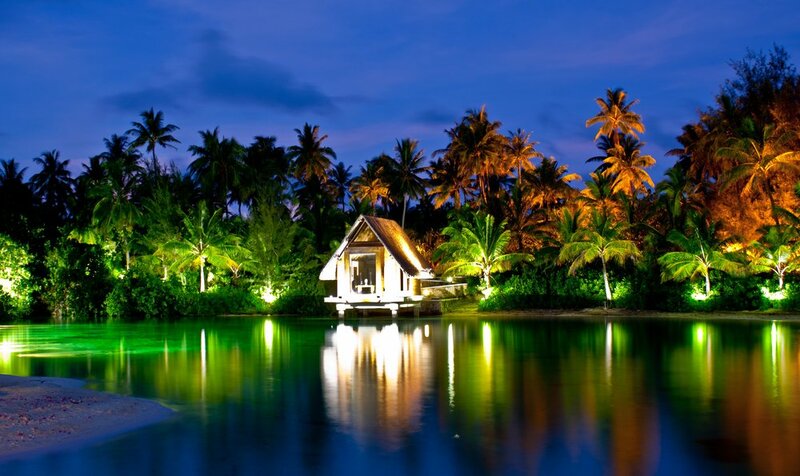 Just ask the pool boy for permission and float away in the lagoon. For a price you can also go on a rainforest tour, ATV safari, or even go parasailing! There's not a lot of pressure to do anything but hangout in your swimsuit for 24 hours. That's actually what we did for 4 days. Brownie sundaes are always acceptable, even at the pool. Other food and many drinks can also be indulged poolside. Much like Hawaii or any tropical destination, they have all the fruity poolside drinks you can think of. Delicious and refreshing!